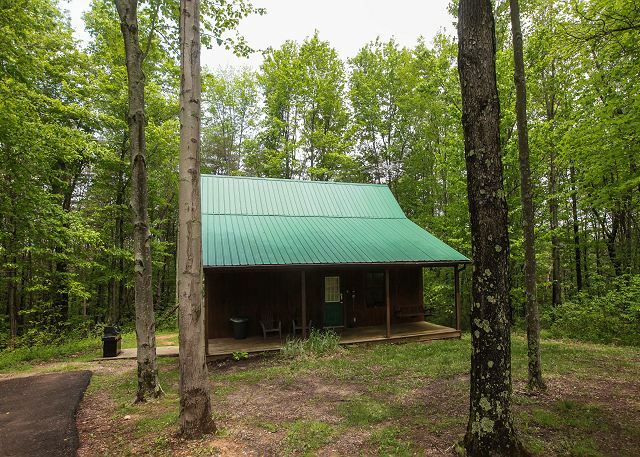 Cozy, romantic and affordable A-Frame Cabin with a Private Hot Tub, 2 Queen Bedrooms, 1 Bath, Partial Kitchen - Two Stove Top Burners, Mini Fridge,WiFi, Satellite Tv/Dvd, Central Air/Heat, Charcoal Grill, and Woodburning Fireplace. Close To Old Man's Cave. 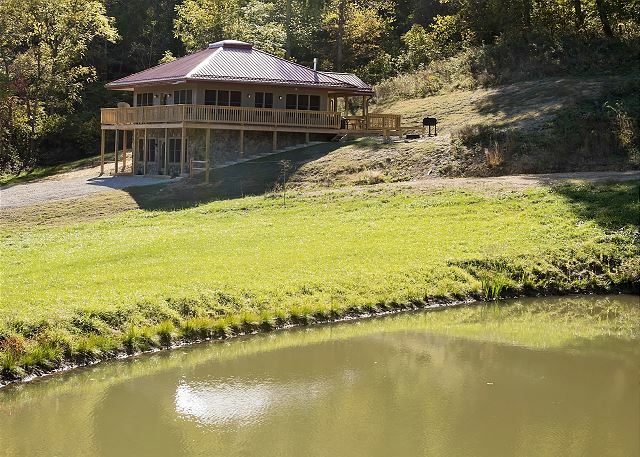 The Nature Lover's Hideaway is for those who want to experience all of nature's splendor! With optional WiFi, Our newly decorated A-Frame features a bright and fun atmosphere with nature's touch! Escape to this newly renovated romantic themed A-Frame cabin. 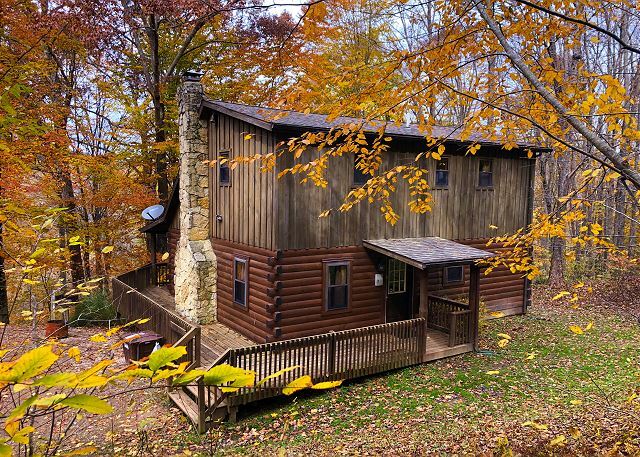 This cabin inspires the passion inside you with a new decor, a cozy wood burning fireplace, and a private 4-person hot tub. Optional WiFi in cabin! Close to Old Man's Cave! 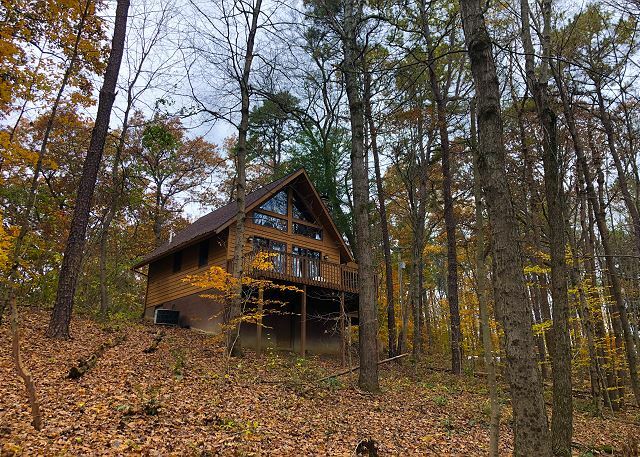 Romantic And Cozy.. 1 Queen Bedroom On Main Floor And Queen Bed In Loft, 1 Full Bath, Full Kitchen, Seasonal Gas Fireplace, Satellite Tv, Private 4-person Hot Tub, Wood Floors, Wrap Around Deck, Charcoal Grill. Optional WiFi in cabin! Cozy family sized Log Cabin with hand made furniture! 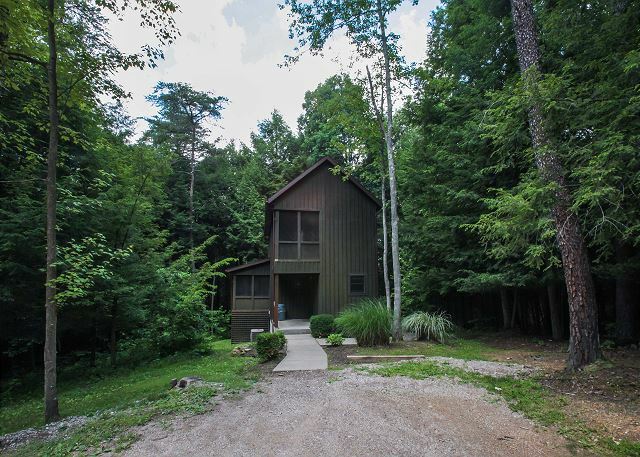 2 queen bedrooms upstairs both with 2 private full baths; Full kitchen, wood-burning fireplace, private 4-person hot tub, cable TV/DVD, washer & dryer, and a covered porch w/swing, WiFi! 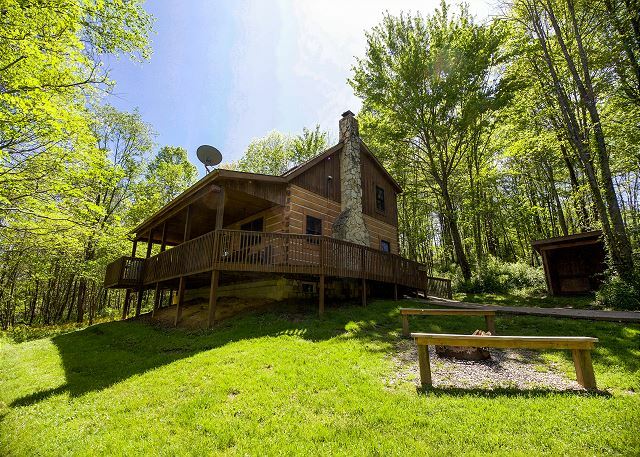 Cozy & Romantic Cabin, 1 Queen Bedroom On Main Floor And Queen Bed In Loft, 1 Full Bath, Full Kitchen, Seasonal Gas Fireplace, Satellite Tv, Private 4-person Hot Tub, Wood Floors, Professionally Decorated, Wrap Around Deck, Charcoal Grill. Optional WiFi! 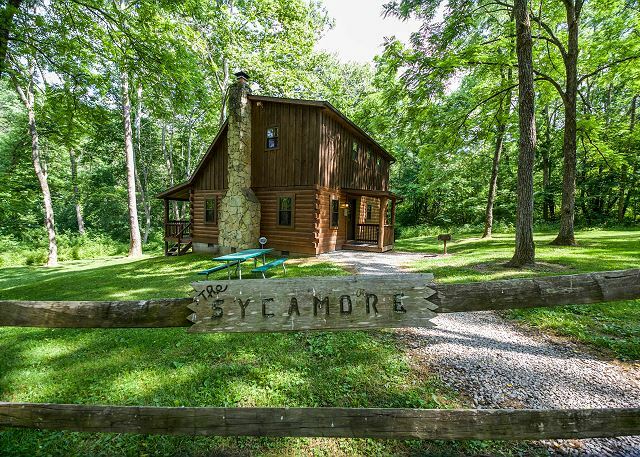 Extremely cozy log cabin, perfect for romantic getaways! 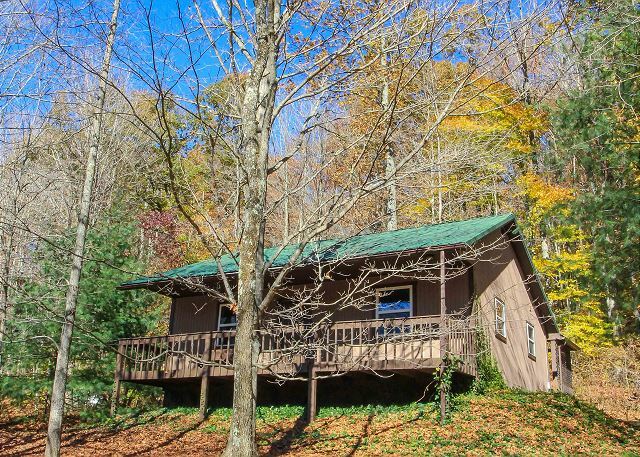 Two bedrooms - 1 queen and 1 full size, cable tv, no phone, optional WIFI, full kitchen, washer & dryer, private 4-person hot tub, wood burning fireplace, front porch swing, wooded lot. 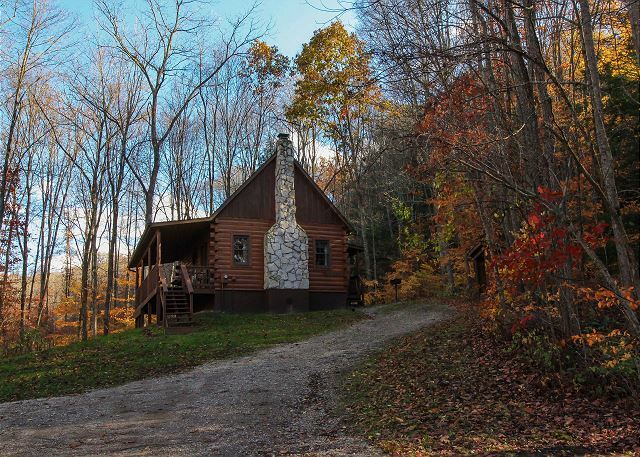 Secluded Ridge top Cabin! 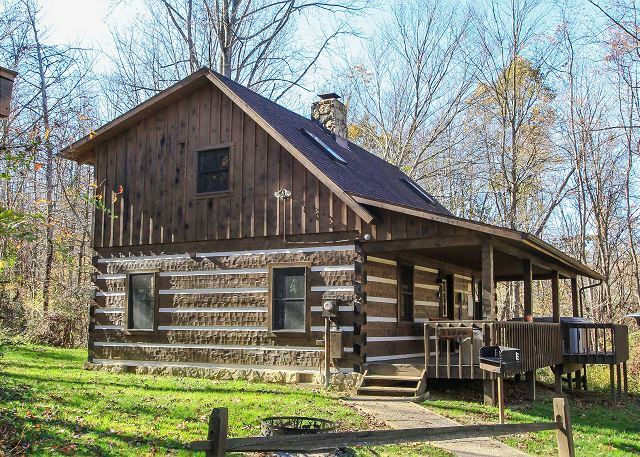 This Cozy Log Cabin, Sleeps 4 W/2 Queen Beds, 2 Full Baths, Full Kitchen, Wood Floors, Wood burning Fireplace, Private 4-person Hot Tub, Charcoal Grill, Covered Deck W/Porch Swing, Wooded Location. Sunset View atop One of Hocking Hills Finest! 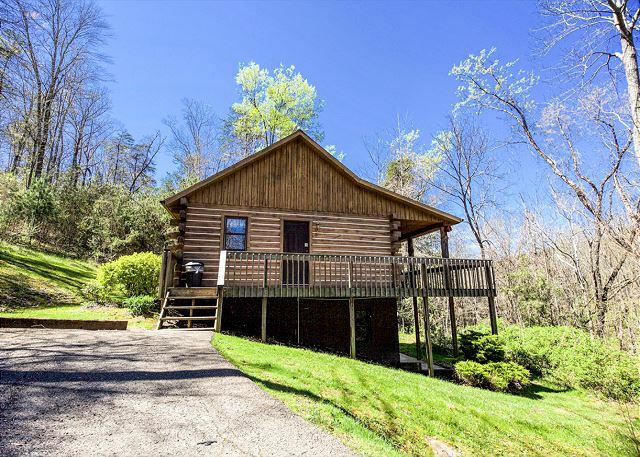 This Log Cabin features 1 Queen Bedroom, 1 Full Bedroom, Full Bath, Full Kitchen, Wood Burning Fireplace, 4-person Hot Tub, Satellite TV, optional WIFI, Covered Deck W/Porch Swing, Charcoal grill. Beautiful Cabin w/ Incredible View! 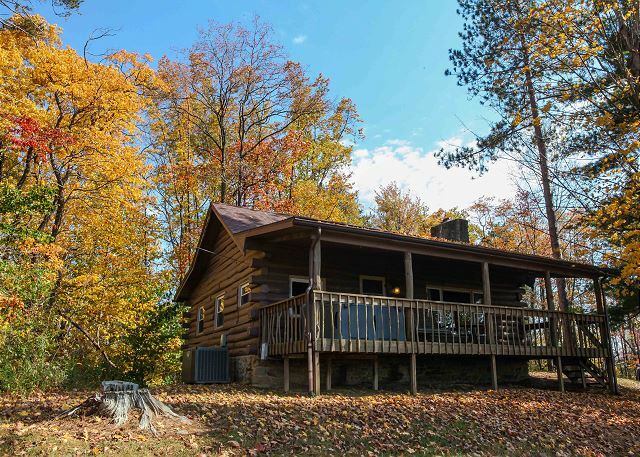 This Log Cabin Sleeps 4; 2 Queens, 2 Full Baths, Full Kitchen, Laundry, Satellite TV, optional WIFI, Flat Screen in Master Bedroom, Seasonal Gas Fireplace, 4-person Hot Tub, Covered Front/Rear Porches. 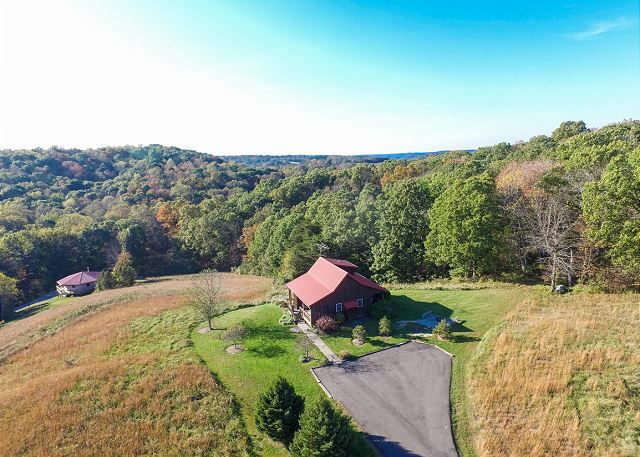 Panoramic And Romantic Hocking Hills Views! 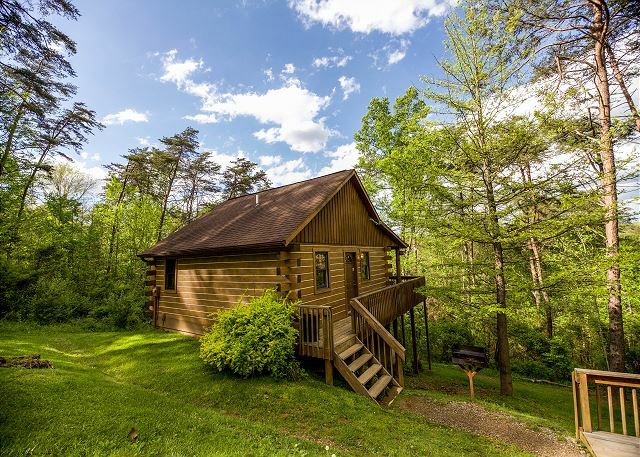 This Private Cabin Is Very Romantic And Cozy. 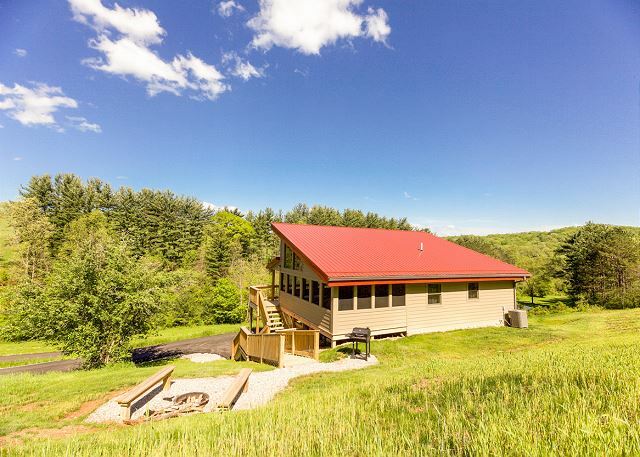 It Can Sleep Up To 4, But Is Perfect For 2, 2 Queens, 2 Full Baths, Laundry, Full Kitchen, Satellite Tv, optional WIFI, Seasonal Gas Fire Place. Newly Remodeled! 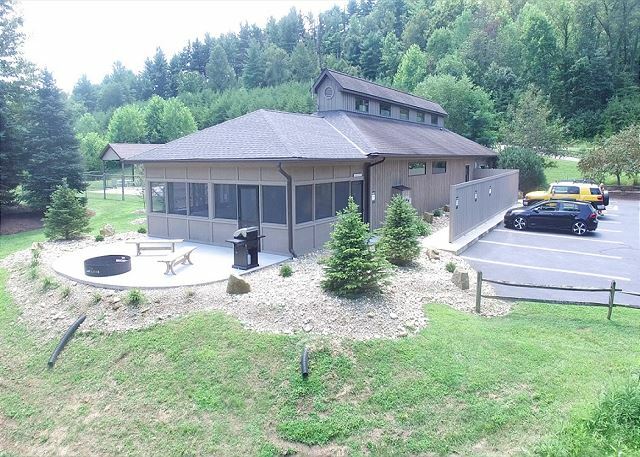 Great For Families And Friends, Screened Porch With A Wooded View, Outdoor Fire Pit To Enjoy The Starry Nights, Seasonal Gas Grill, 2 Flat Screen TV’s, Well Equipped Kitchen, Sleeps Up To 6 Persons, With 3 Queen Beds. Optional WIFI! 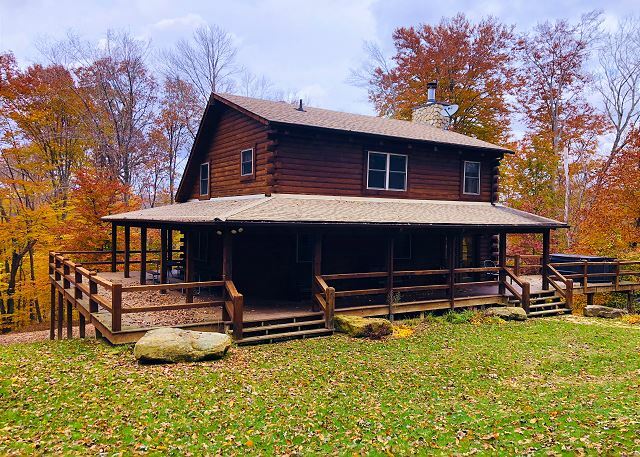 Beautiful log cabin with 2 queen bedrooms and queen bed in loft, 2 full baths, woodburning fireplace, outdoor fire pit, private 4-person hot tub, full kitchen, cable tv, optional wifi, covered front porch w/swing, wooded location, close to Lake Logan. Outdoor 4-person Hot Tub, Brand New Sauna! Blackjack has 1 Queen Bedroom And 1 Bedroom W/2 Queen Beds, 2 Full Bath, Full Kitchen, Seasonal Gas Fireplace, Wood Floors, Covered Deck W/Porch Swing, Charcoal Grill, Satellite TV, WiFi, Close to Parks! Outdoor 4-person Hot Tub, A 3 person Sauna ! 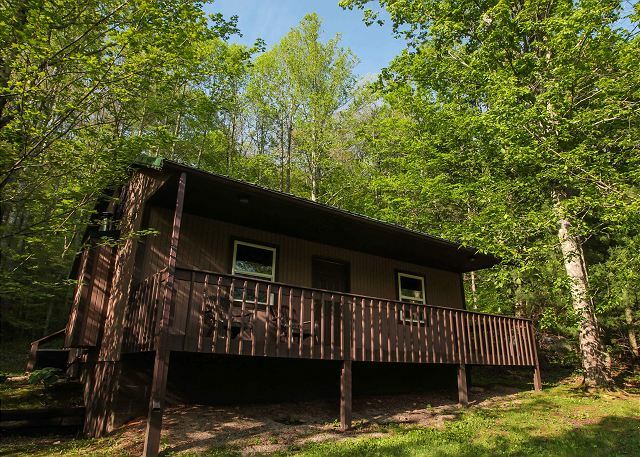 Hemlock has 1 Queen Bedroom And 1 Bedroom W/2Queen Beds, 2 Full Bath, Full Kitchen, Seasonal Gas Fireplace, Wood Floors, Covered Deck W/Porch Swing, Charcoal Grill, Satellite Tv, Close To Parks. Optional WiFi!